We talk with Amy S. Choi of The Mashup Americans about what it means to be a mashup family. Then, we share a story about Sulome Anderson, a journalist who has spent her career humanizing the people responsible for the pain and discord in her life. 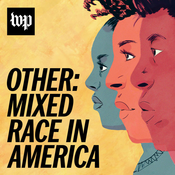 In the first episode of Other: Mixed Race in America, we investigate the supercharged (and super awkward) microaggressions that multiracial people face in romantic situations.